An easy to use, affordable all-grain system that ships free and includes the highest quality components in the industy. 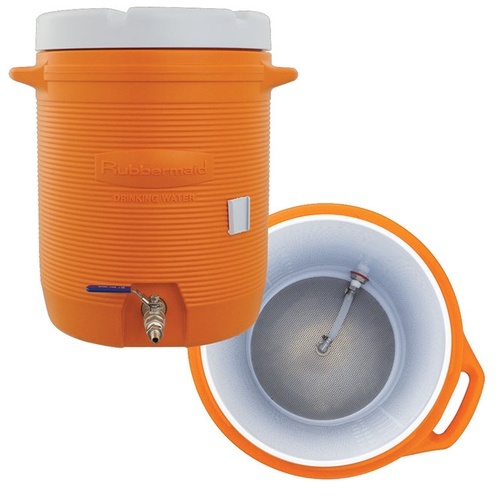 Centered around 10 gallon coolers, this is a completely pre-assembled set up that includes a mashtun and hot-liquor tank. 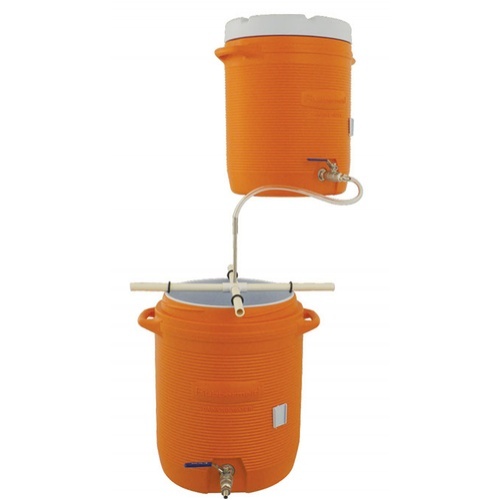 All you need a is a 8 gallon (for 5 gallon batches) or 15 gallon (for 5-10 gallon batches) boil kettle! The 10 gallon coolers do an amazing job of retaining heat. You'll notice barely any temperature loss throughout your 1hr+ mash and sparge. We use the highest quality components - Rubbermaid coolers which cost more than Igloo or imported versions from China, all stainless steel hardware and fda approved silicone tubing that is heat resistant to 500 degrees F.
How Much Grain Can I fit..? Lots! At 1.1 quarts of water per 1 pound of grain you can fit about 30 lbs of grain. If you were to use a 1 to 1 ratio you could fit in 32 lbs and at a .9 to 1 ratio you can fit 34 lbs of grain. 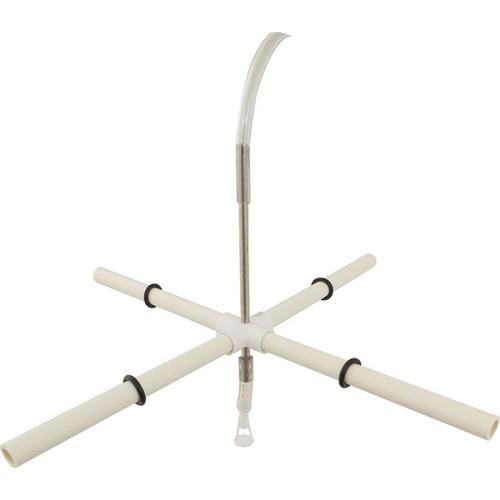 Mash Paddle Hardwood Maple XL - 36 in.